Hula Hoops are lots of fun for kids! 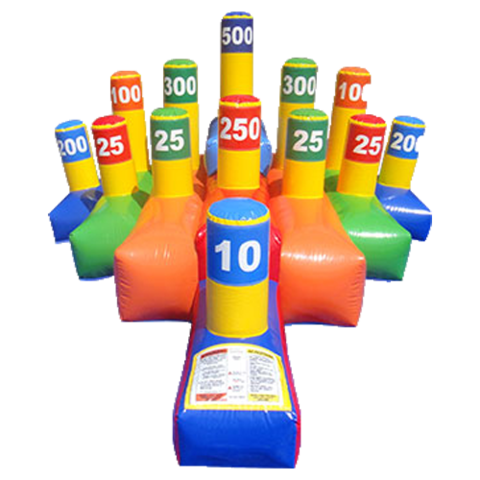 An amazing new twist, a giant inflatable hula hoop toss carnival game is becoming one of the most popular items for backyard parties and large events. It's huge size draws a crowd just waiting to see who has the skill to ring a hula hoop over one of the inflated poles. Each level has different points to make it a little more interesting for your kids. They are great for games focusing on old and young attendees and the hula hoop toss is a classic game everyone loves. It is easy to set up and easy for everyone to learn and play. To make sure there is something for everyone at your party event, get your reservation made today.